With the Azure Audit Logs content pack you can analyze and visualize the information stored in the audit logs. 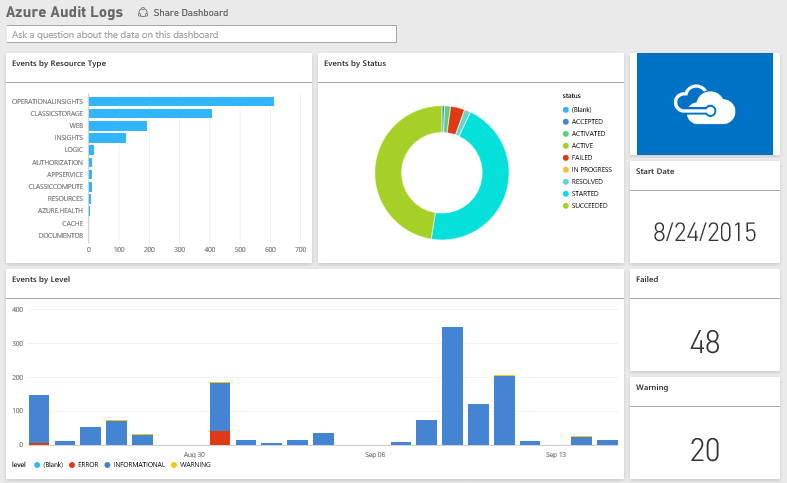 Power BI retrieves your data, builds an out-of-the box dashboard, and creates reports based on that data. 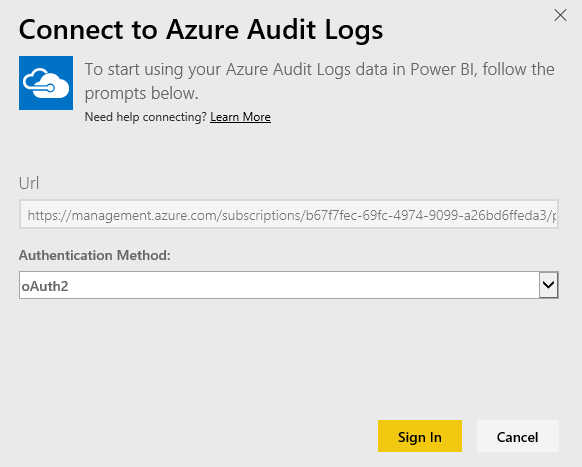 Connect to the Azure Audit Logs content pack or read more about the Azure Audit Logs integration with Power BI. 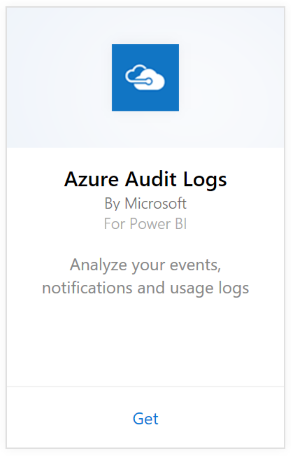 Select Azure Audit Logs > Get. 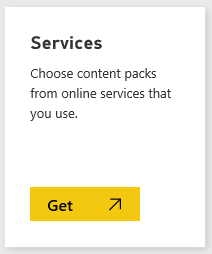 When prompted, enter your Azure Subscription Id. See details on finding your subscription ID below. 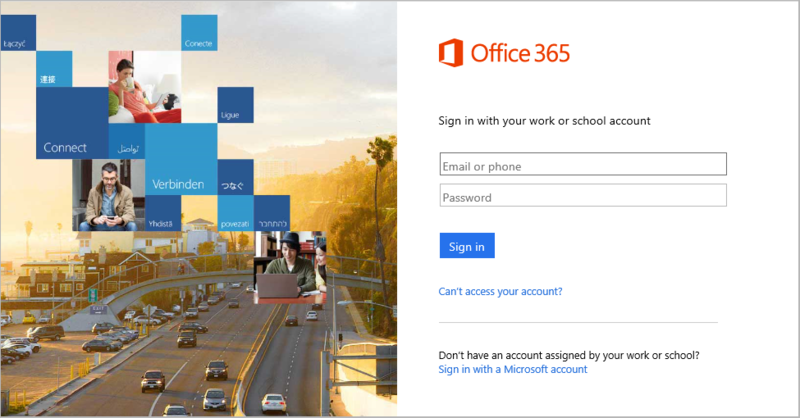 Enter your account credentials to finish the sign-in process. 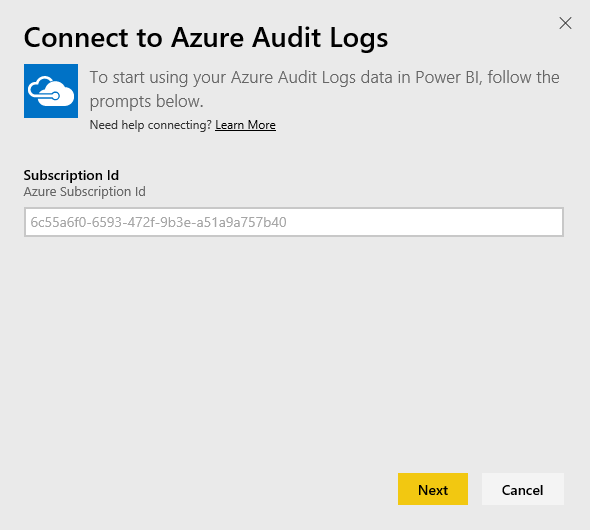 Power BI will retrieve your Azure Audit Log data and create a ready-to-use dashboard and report. The Azure Audit logs content pack requires access to Audit Logs in the Azure portal. More details here. There are two easy ways to find your Subscription Id. Your subscription Id will be long set of numbers and characters, similar to the example in Step #4 above. If you're seeing a credentials error or an error trying to refresh due to invalid credentials, try deleting all instances of the Azure Audit logs content pack and reconnecting.